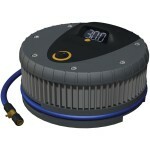 Ring RAC600 Review: The Ring Automotive RAC600 12V Digital Air Compressor is ideal for inflating tyres fast and effectively. It can inflate a fully deflated tyre in approximately 3.5 minutes. It has been given an impressive rating of 4.3/5.0 from over 2580 user reviews. The Ring RAC600 comes with its set of features, build quality and price are just a few reasons why people choose this digital air compressor for inflating different types of tyres, from bicycles to cars. Having an air flow rate of 25L/min, this air compressor can inflate a fully deflated car tyre in approximately 3.5 minutes, based on inflation up to 35 psi. In other words, you can be certain that your tyre will have the correct tyre pressure in no time. To make things better, the item features a self select pressure mode that has an automatic switch off. Another great thing about this air compressor is the fact that it has a built-in white light for direction and a red light for alerts and SOS for safety and ease of use. Moreover, the item is fitted with a fused 12 V power plug, a 3.3 m power cord and a flexible air hose of approximately 60 cm with screw stem connector. 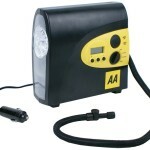 This air compressor also features a separate pump and light switches. Furthermore, it comes with a 2 piece adaptor kit and a handy storage case that will allow you to carry the product with you if needed or to simply store it in your house. The item has great features like the 2 piece adaptor kit and the self select pressure mode with the automatic switch off. It is automatic and stops itself when the correct pressure is reached. Some users complained that the air compressor doesn’t perform and expected. 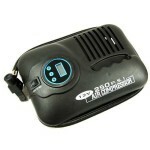 Overall, the reviews of the Ring Automotive RAC600 12V Digital Air Compressor are positive. Users consider this item easy to use, convenient and effective. Still, there were users who had more complaints than positive words. They complained that the air compressor doesn’t perform as promised. In a nutshell, the Ring Automotive RAC600 12V Digital Air Compressor is a great product if you are looking for a digital air compressor that is easy to use and works very fast. I highly recommend this inflator if you don’t want to spend more than a few minutes checking your tyres inflating them. Checkout the latest deals and discounts on Amazon. You may also be interested in reading our review on the Ring Automotive RAC610 12V Analogue Compressor. This entry was posted in Ring Automotive and tagged Ring Automotive RAC600, Ring Automotive Tyre Inflator on April 25, 2018 by Mike.